Pesto can be used for a lot of different stuff and it is actually really easy to make. 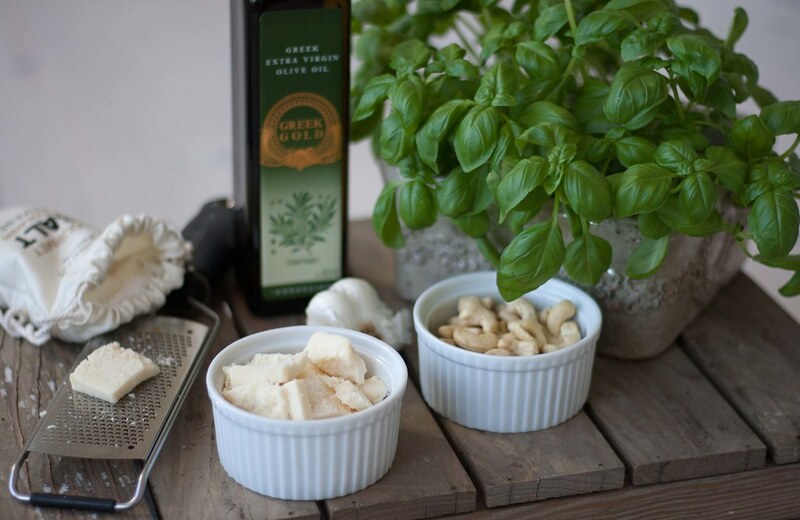 The base ingredients in pesto are herbs, parmesan cheese and olive oil, it is simple and can be twisted in the exact way you like. 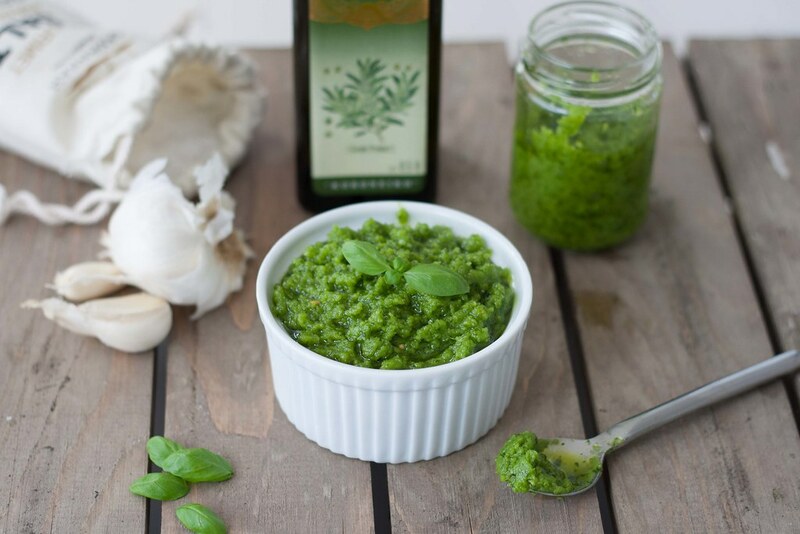 If you prefer a more smooth pesto you just add extra olive oil or if you want a stronger taste you just add extra herbs. 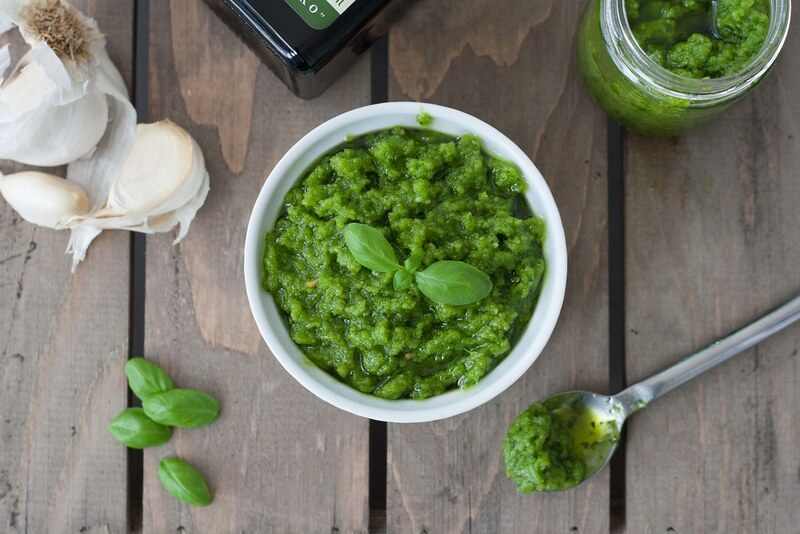 The recipe I use for basil pesto gives you 2 small jars of really smooth and tasteful pesto. 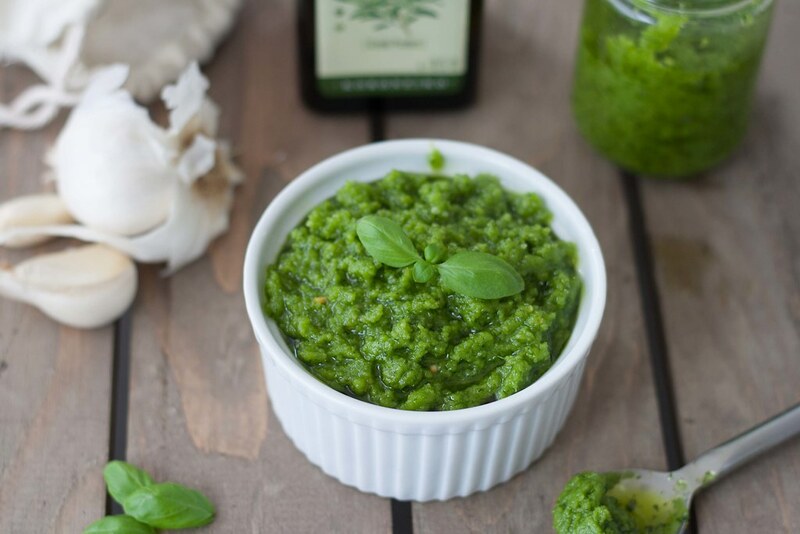 I never buy pesto from the grocery store – it is just too simple to make yourself and the taste, and the fact that it does not have any additives, is just must better. 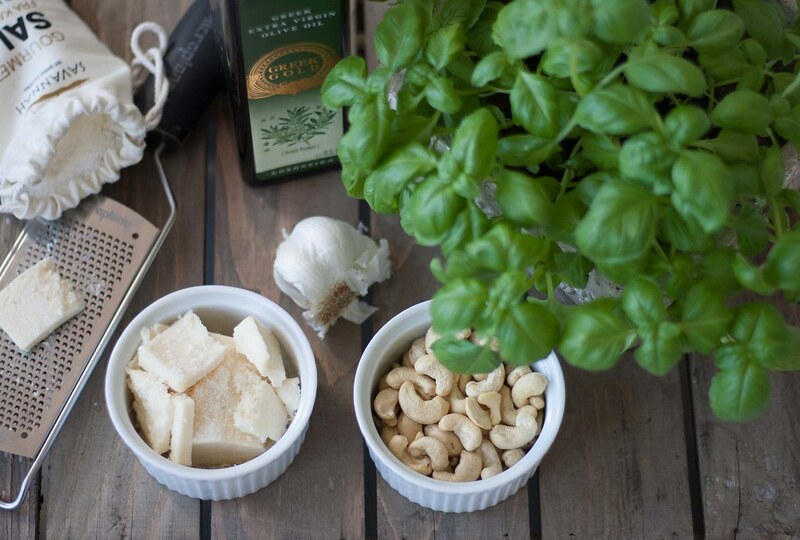 Normally pesto is made based on pine nuts but they are quite expensive – This version of pesto is made using cashew nuts which has almost the same taste and consistency. Of cause you can just swap the cashew nuts with pine nuts if you feel like. 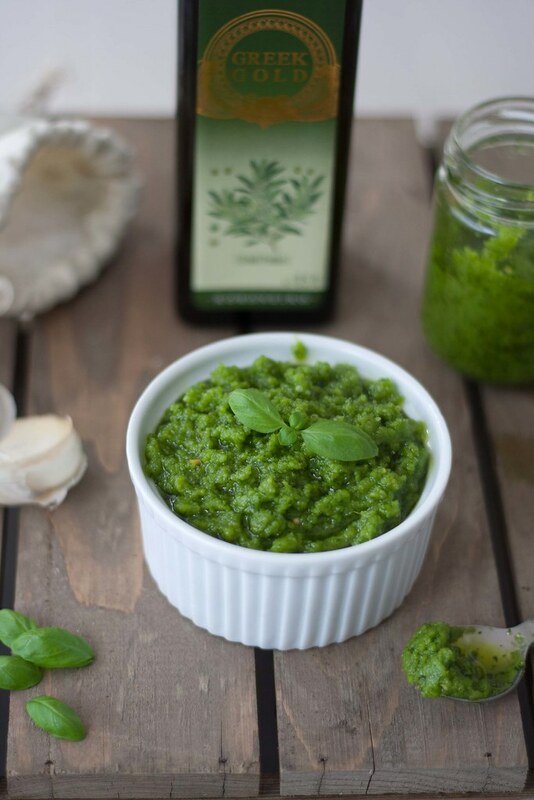 As said, pesto can be used in many different recipes or simply just as a dipping for snacks. It is perfect as spreads for normal bread or maybe some bread, or as sauce you can mix in your pasta salad. Blend all the ingredients using a blender, food processor, hand blender or similar. Blend until the pesto has a nice and smooth consistency. 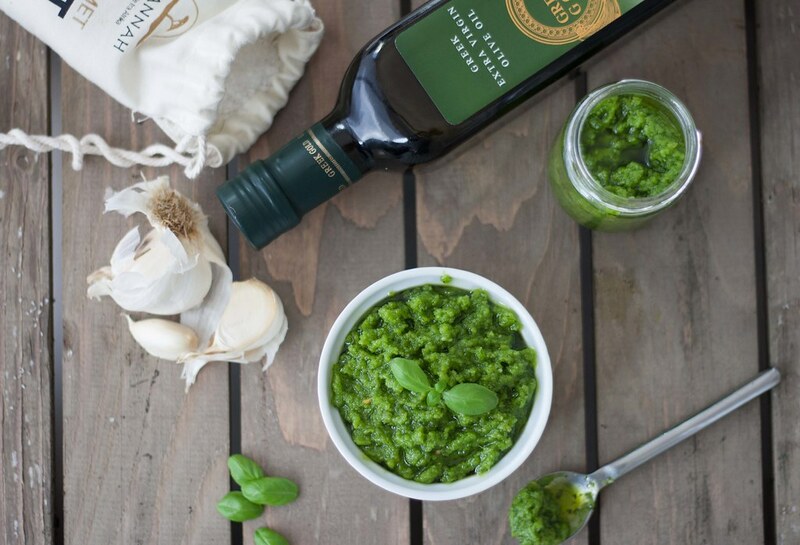 Tip: Serve the fresh pesto with some bread or mix it with pasta and have it for dinner.